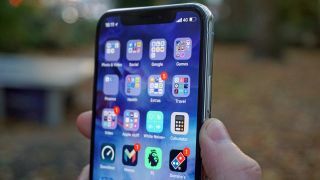 Now that the reveal of the iPhone X is out of the way, we can start thinking about what's coming to the iPhone family in 2018, and one analyst is predicting that next year's models are going to feature significantly faster baseband chips for ramping up upload and download speeds on cellular networks. According to KGI Securities, which has a decent record in knowing what's happening inside Apple's secretive supply chain, the phones will have 4 x 4 MIMO antenna technology, an upgrade on the 2 x 2 MIMO chips used in the 2017 editions of the handset. That's not 5G speeds, but it's a substantial bump. Another change will be that around 70-80 percent of these chips are going to be made by Intel, KGI reports - current supplier Qualcomm has hit a rocky patch in its relationship with Apple, though it will still supply the remainder of the antenna components. It might not be the most exciting of upgrades for the iPhone 9 or whatever Apple is planning to call it, but nevertheless faster data speeds are always welcome. Trials of 5G are currently happening all across the world, so it shouldn't be too long before the technology is available - though you might have to wait until 2019 for 5G phones. Other gossip from the world of Apple suggests we're set for three iPhones next year, with a 6.1-inch TFT LCD version catering for those who want to spend a little less on their Apple products. It looks like the form factor of the iPhone 8 and iPhone 8 Plus is getting ditched for good, so get used to the notch. Of course it's still early days for rumors and speculation about the next-generation iPhone, so take everything you hear with a pinch of salt for now. If next year's launch is anything like this year's though, we'll know pretty much everything there is to know about these phones before they're officially unveiled.